The company has a team of experienced staff and improve the design and process technology means skilled team of employees and management mechanism has been created in line with the market rules, greatly mobilized the enthusiasm for production workers, with a good productivity. ​Nanjing Shale Power Company is a ​highly professional energy equipment manufacturer in China​, which is located in the City of Nanjing​. We offer energy solutions and services to major steam turbine & wind turbine OEMs. 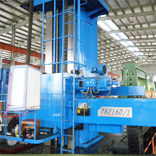 ​Our company owns 2 production workshops of ​total ​25,000 square meters and ​is ​equipped with 50 sets of high-grade large machine tools. 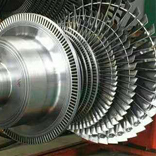 Our company specializes in ​both ​the production of high-precision equipment components for steam turbines, wind turbines, mining equipment, and ship parts​, as well as ​the repair and refurbishment services of ​steam turbine​s​. ​To ensure that we provide high-quality products and services,​ ​arigorous quality control standard ​are followed. In 2009, Nanjing Shale Power Company was certified with ISO 9001-2008.